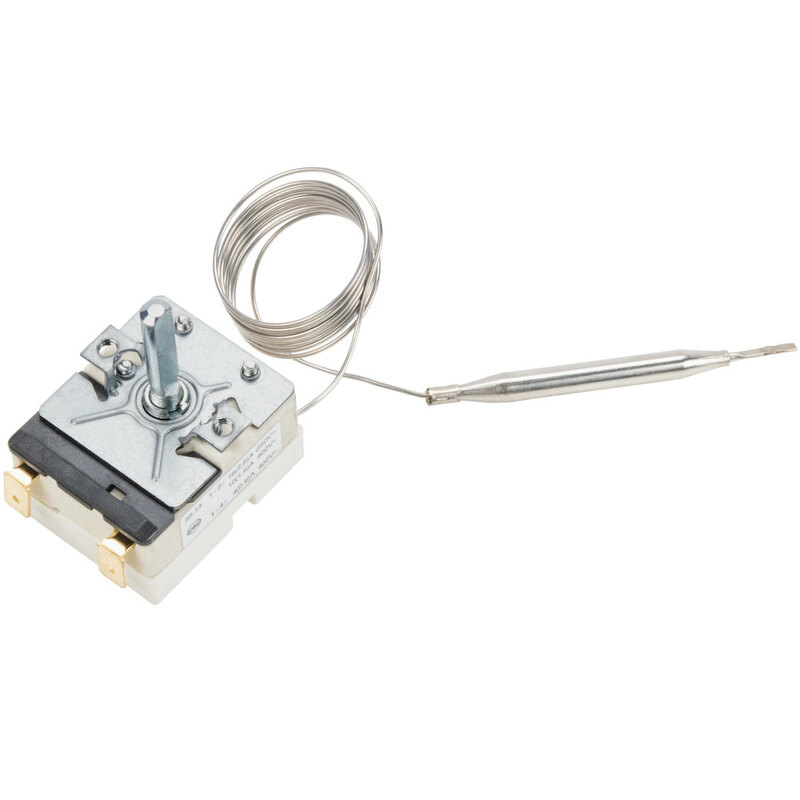 Ensure you are setting proper cooking temperatures with this Carnival King DFCTHRM replacement thermostat for Carnival King DFC4400 funnel cake / donut fryers. In the event that your older thermostat wears out, replace it with this thermostat to adjust the cooking temperature of your unit. This thermostat will allow you to adjust the temperature of your fryer between 200 and 400 degrees Fahrenheit so you can safely prepare funnel cakes and donuts for your hungry customers.